Time management was one of the most difficult aspects of classroom management for me. I loved having my students actively engaged in a hands-on lesson, but those types of lessons are very time-consuming. A quick 30-minute activity would often evolve into an hour-long lesson! A big part of the problem was my lack of time management skills. I would give my students a simple task, intending to allow 5 minutes before moving on to the next step, and the next thing I knew, 20 minutes had passed. Luckily, my time management skills improved after I had an interactive whiteboard installed in my classroom. I discovered that the built-in Smartboard timer app was a great help, and before long I also discovered a wonderful FREE website with a variety of creative and fun timers. Online Stopwatch has over a dozen timers for counting up and counting down, including the countdown timers shown here. I would assign a task, set the timer to count down, and turn my attention back to my students. Even if I was caught up in an activity and didn't notice the time passing, the online timer would let us know when time was up. I love these timers because they're fun as well as effective for classroom management, no matter the age of your students. After you set the total time and click the start button, an action occurs on each timer to show the passing time. For example, in the clock timer at the top, the hand on the clock moves and the clock changes from yellow to black. In the bomb timer, the fuse becomes shorter and shorter as it slowly burns towards the bomb. The candle slowly melts as the wick burns, the fuse burns to the bottle rocket, and the sand trickles down through the egg timer. In each case, when the time's up, the timer sounds off dramatically. The only problem with these timers is that they are so exciting that they might actually be distracting! Fortunately, Online Stopwatch does have a few plain timers, too. You can even create your own custom countdown timer by choosing a timer, the ending sound, and other features. I suggest visiting the Classroom Timers page on their site to see the full selection of timers. If you're interested in more classroom and time management strategies, visit the Classroom Management page on Teaching Resources. Which online timer is your favorite? How do you use timers in your classroom? "How does Power Reading Workshop fit with the Daily 5?" I've been asked that question several times recently, so I decided to tackle it in a blog post. I feel fortunate to have been a part of a summer book study that examined The Daily 5, an outstanding resource for teachers written by "the sisters," Gail Boushey and Joan Moser. After participating in that book study, I feel more confident about exploring the similarities and differences between Power Reading Workshop and The Daily 5. Both programs empower students to become better readers by allowing them to select and read books of their own choosing. In both programs, reading instruction takes place through mini-lessons, independent conferences, and small guided reading group lessons. My response is a bit lengthy, but this question is important and it deserves an in-depth answer. As a part of my response, I’ll also dig into the two follow-up texts, the sisters’ CAFÉ Book and my own Graphic Organizers for Reading: Teaching Tools Aligned with the Common Core. I first read The Daily 5 shortly after it came out in 2006, and I was impressed by the sisters' inspirational writing style and by the program itself. Their book outlines the five components that make up their literacy program, describing a learning environment in which students are responsible for their own growth as readers. Their methods surpass the basic reading workshop approach described in many other books. However, I experienced two big stumbling blocks when it came to implementing the Daily 5 model. First, as a 5th grade teacher, I didn't have two or three hours to devote to literacy instruction, and I wasn't convinced that my students needed all five components. The other problem was that the examples in the book were from primary classrooms, and the strategy descriptions did not include enough detail for me to understand how to implement the program in an upper elementary classroom. As much as I enjoyed the book, I didn't feel comfortable implementing reading workshop that year. However, I did continue to search for more information on the topic. I was inspired by two more books, The Book Whisperer and Igniting a Passion for Reading, but what I really wanted was a set of step-by-step directions telling me how to get started. Eventually, I jumped in and started implementing the reading workshop model in my classroom. I tweaked some of the strategies I had been reading, and I developed some of my own, creating the program I now call Power Reading Workshop. Within just a few weeks, it became obvious that these methods were working extremely well and that my 5th graders were starting to love reading. After the first quarterly benchmark test, it was obvious that they were becoming better readers, too! It was at that point that I started writing down everything I was doing and compiling it to share with others. 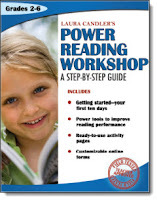 It took several years of working with the program and getting feedback from others teachers, but eventually I published Power Reading Workshop: A Step-by-Step Guide, the first reading workshop guide with easy, step-by-step directions. 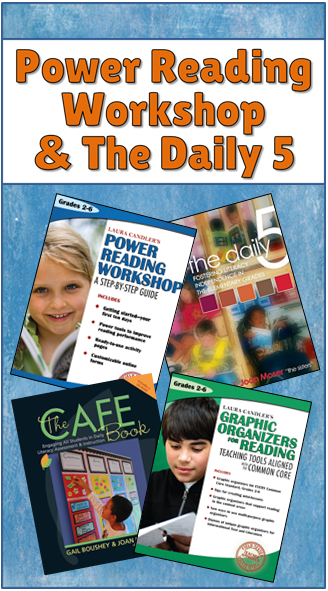 Let's look at the Power Reading Workshop (PRW) and The Daily 5 (D5) programs in more detail. Both PRW and the D5 are based on students selecting and reading their own books, and both programs provide large blocks of time in the schedule for independent reading. Both programs deliver instruction through mini-lessons, individual conferences, and targeted reading lessons in small guided reading groups. 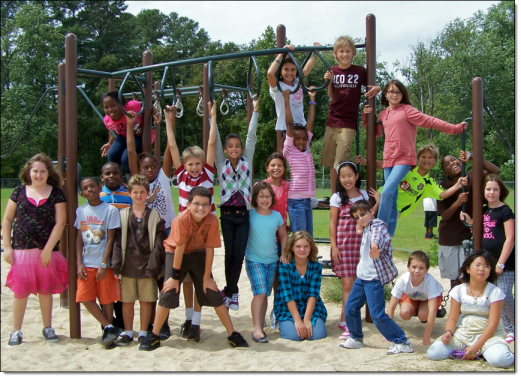 PRW was designed for students in grades 2 through 6 who are already minimally proficient in reading. The D5 program can be modified for use with these age groups, too, but the examples given in the D5 book are from primary grade classrooms. PRW is a simple, streamlined, step-by-step approach for starting a reading workshop and adapting it to meet the needs of your students. PRW does include many components of the D5, such as reading to self, listening to reading, and reading to someone. However, word work and spelling are not a part of the PRW model because writing and spelling are often taught separately in upper elementary and middle school classrooms. Since PRW only focuses on the reading components of literacy instruction, it can easily be implemented in an hour a day. The D5 program includes five different components of literacy instruction, including word work and spelling, and it requires several hours a day to implement. The CAFE Book is the follow up to The Daily 5. Apparently, the sisters received so many requests for more detailed information that they ended up writing The CAFE Book. It's interesting to note that while they were writing this book, I was developing Power Reading Workshop to address the same need for step-by-step instructions! I just read The CAFE Book last month, and I LOVE it! To my amazement, this book has many of the missing pieces that I was looking for in The Daily 5. 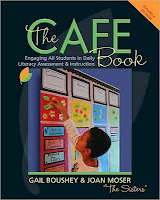 The CAFE Book outlines a literacy menu of reading strategies for Comprehension, Accuracy, Fluency, and Expanded Vocabulary. I was particularly impressed with the detailed information about how to conduct individual conferences and guided reading groups, as well as their huge appendix of specific information about how to teach reading strategies. I highly recommend this book as a supplement to Power Reading Workshop, because the CAFE menu approach can easily be integrated into the basic Power Reading Workshop model after the first 10 days of instruction. 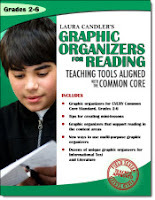 The final piece of the puzzle can be found in Graphic Organizers for Reading: Teaching Tools Aligned with the Common Core. I've always loved using graphic organizers in my teaching, and when I began implementing reading workshop, I realized how easy it was to create mini lessons from graphic organizers. The book was first intended as supplement to Power Reading Workshop, but then I began learning about the new Common Core State Standards, and realized it could be much more. It occurred to me that all of the reading standards could be taught by using a graphic organizer to frame each lesson! I organized the chapters in the book to align with Common Core State Standards, so the mini-lessons provide an easy way to make sure you are meeting the standards for your grade level. The way I see it, Power Reading Workshop and The Daily 5 have many similarities. Both programs are designed to empower students with a love of reading and to provide them with the tools to become better readers. The components of each program can be integrated together and adapted to meet the needs of your class. I encourage you to learn more about both Power Reading Workshop and The Daily 5 because both programs include strategies that will enrich your reading instruction. Power Reading Workshop and Graphic Organizers for Reading are both available on Amazon.com, and if you click on those titles, you can read the reviews there. If you are interested in the digital copies of these books, you can get the digital versions for FREE when you order the print copies directly from my publisher. Just go to this page on Teaching Resources and follow the links. I also invite you to visit the Reading Workshop page on Teaching Resources where you can find these books and other resources to guide you on your reading workshop journey. I've been using Pinterest for awhile now, and I love the way it allows me to organize my teaching resources. However, my biggest frustration has been not being able to pin and repin from my iPad. 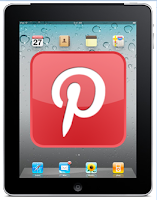 Until recently, Pinterest only had an iPhone app, and you couldn't use it for browsing and pinning directly from the web. I tried a few other apps, but none of them worked very well. That all changed this week when Pinterest came out with a brand new (FREE!) app for the iPad! I also heard that they have a new app for the Android, but I don't know if it works the same as the iPad app. What I love about this new app is that it lets me do everything on my iPad that I can do on my computer. I can view all of my Pinterest Boards and pins in one place. I can see my Pinterest feed and repin directly from there. I can even browse the web from within the Pinterest app and pin new content to any of my boards. I love it! Now I can indulge my Pinterest addiction on the go! I've organized my blog posts and teaching materials from many sources on Pinterest by category or theme. 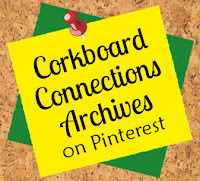 I even created a visual archive for Corkboard Connections on Pinterest so you could see everything at a glance! In addition, I contribute to a number of wonderful collaborative Pinterest boards. By the way, you can follow these boards individually, or just follow all my boards! If you do that, you'll be added to any new board I create! Happy pinning! Oops! The bad news is the blog post and freebie you're looking for have moved to another page on Corkboard Connections. 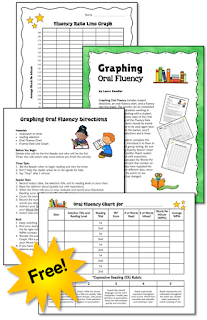 The good news is that I've updated the Graphing Oral Fluency freebie and it now looks like the one shown here! Even better, it's still 100% free! Click over to How to Track Oral Reading Fluency to read the article and learn where to download this freebie! 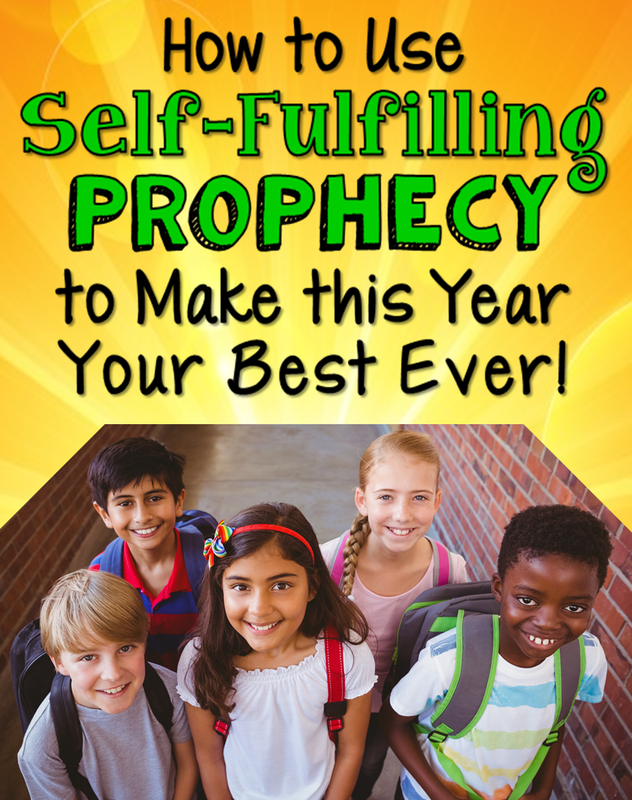 Make Self-Fulfilling Prophecy Work for You! Make this Year Your Best Ever! For the first few weeks after a school year ends, it's hard to forget about your previous class and think ahead to the coming school year. But after a few weeks with plenty of time to relax and de-stress, your thoughts began to turn to your next year's class. What will your new students be like? Will you bond and have a great year? 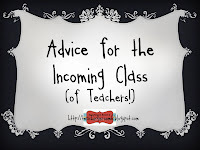 When I was teaching, I remember that this topic was on everyone's minds as the school year approached. Once I heard a teacher joke, "I had a great class last year, so I guess this is my year to have the class from you know where." Everyone in the room laughed, but as I walked away, I wondered if a subconscious belief like that might actually cause a teacher to have a tough year instead of a great year.... not be because the students ARE more difficult but because we EXPECT them to be more difficult? Think about it. As soon as we receive our new rosters, we quickly scan them to see who's in our class. We see names that we recognize, and we frantically try to remember what we've heard about these students. "Oh no . . . Johnny's the one who was always clowning around in Mr. C's class" or "Tameka is that nice quiet girl who helps Mrs. D after school." We've already begun to make judgments about students we haven't even met! What if statements like these are no more than self-fulfilling prophecies? If that's true, then perhaps we have far more impact on the type of class we get than we ever imagined! Every year I said the same thing on the first day, "Class, I have to tell you that I had a really awesome group last year, and I'll miss them. But the amazing thing is that every year, my new class is even better than the one before! I don't know how it's possible, but it's true. I can't even begin to imagine how amazing this class is going to be! I know we are going to have a great year together!" I say this with absolute sincerity because it's true! Maybe I just keep getting more effective as a teacher, or maybe this statement makes them want to be the best class ever, but it works! 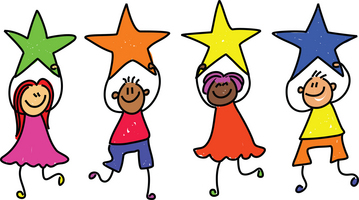 What do you think about your new students when you see their names on your roster? What do you tell your class on the first day of school? What subtle messages do you convey about their worth and their future success in your classroom? When you scan your roster, be encouraged by the thought that another teacher's "problem child" may turn out to be one whom you cherish the most! That quirky sense of humor or that restless, inquisitive spirit is finally appreciated and the student just blossoms under your attention. If the self-fulfilling prophecy is really at work in the universe, let's make sure it's working in our favor! Tell your students that you know they are going to be the most amazing class ever, and that's exactly what they'll become! 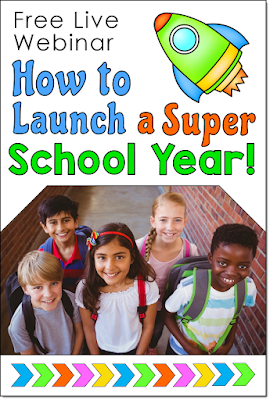 If you'd like specific strategies and tips for getting your school year off to a terrific start, sign up to watch the replay of my webinar, How to Launch a Super School Year! I'm excited to have the opportunity to share some of my favorite strategies and activities with you. Watching the webinar will put you just a little closer to making this the best school year ever! 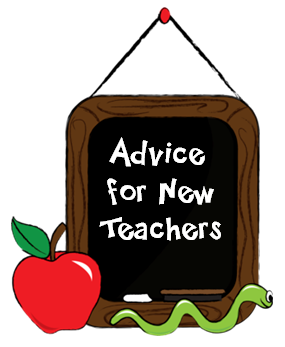 What advice do I have for new teachers? That's the question that I started pondering after I read Stephanie Moorman's blog post on this topic. She offered her advice on Teaching in Room 6 and asked others to share their ideas and link up, too. This question brought back memories of my own first year, and I have to tell you that some of them weren't all that pleasant! I had a very difficult group of 6th grade students, and sometimes I'm amazed that I stayed in the teaching profession after that year. In fact, these kids were so rough that teachers told me years later they didn't know how I survived the experience. I know I cried more that year than I had ever cried before - not in front of the kids of course, but the tears would flow as soon as they left! My stomach stayed in knots, and I was an absolute wreck that year. Sometimes I just didn't think I could go back into that classroom another day. But I'm a survivor and I was determined to do my best and stick it out. Everyone told me that the 2nd year would be so much better, and they were right. By my 3rd year everything fell into place and I began to love teaching. The rest is history! I have been a teacher for over 30 years now, and I love working with kids and collaborating with other educators. Believe in yourself and believe in your students. Realize that you may make mistakes at first, but believe that you have what it takes to get back on track. Don't let a few mistakes derail you from a wonderful career! It's just as important to believe in your students and expect the best from them. Create a caring classroom where bullying is not tolerated and students know that you will hold them to high standards of behavior and academic success. Visit the Caring Classroom page on Teaching Resources for some tips and strategies. Know that you are not alone. If you don't have a mentor, or your assigned mentor is not that helpful, find a new one. Believe me, schools are full of caring people! Who would go into a profession where you have to work so hard for so little pay if they didn't care! There are also great internet discussion groups and other communities that can help you and support you. Be friendly with your students, but don't try to befriend them. I had a really hard time with this one because I never liked authority (big surprise!) and felt that I should listen to my students' opinions. But I learned that whether I liked it or not, I was the authority in the classroom and I needed to take charge. That didn't mean being a dictator, but it did mean sometimes making decisions that weren't popular with my kids. So be open to your students' suggestions as long as they express them in a respectful manner, but never hesitate to make the decisions that you feel are best. Remember that being fair doesn't always mean treating every student exactly the same. I really had a lot of trouble with this one, too. My students quickly figured out that the best way to get to me was was to say, "That's not fair!" Then they would very cleverly point out how unfair it was, and being a fair-minded person, I would try to listen and try to explain why I was being fair. Big mistake! I finally learned to say, "I try to treat everyone in a fair manner, but if you don't agree with me, why don't you write me a letter and tell me why you don't think it's fair?" It diffused the issue and let me regain control of the situation. It also gave them a chance to write down what they didn't think was fair. If I later realized that I was at fault, I apologized and we worked it out. Plan, plan, plan! My first year teaching I planned everything I said and did with great care, sometimes even writing out a script for how I wanted to explain a science experiment or teach a lesson. I had my materials ready the night before, my activity pages were duplicated and ready to go, and it worked. The minute you have to go scrambling through your cabinets for materials, you lose your students' attention as well as valuable class time. Planning gets easier as time goes on, but it's still an important, even if you have been teaching many years. If you follow these tips, you should avoid many of the problems I experienced during my first year. Be sure to visit Teaching in Room 6 to read what Stephanie and others have to say to help new teachers experience success. I wish new teachers the best of luck! I think teaching is one of the most rewarding professions you could hope to have, and it's one of the few where you know each and every day that you are making a difference!